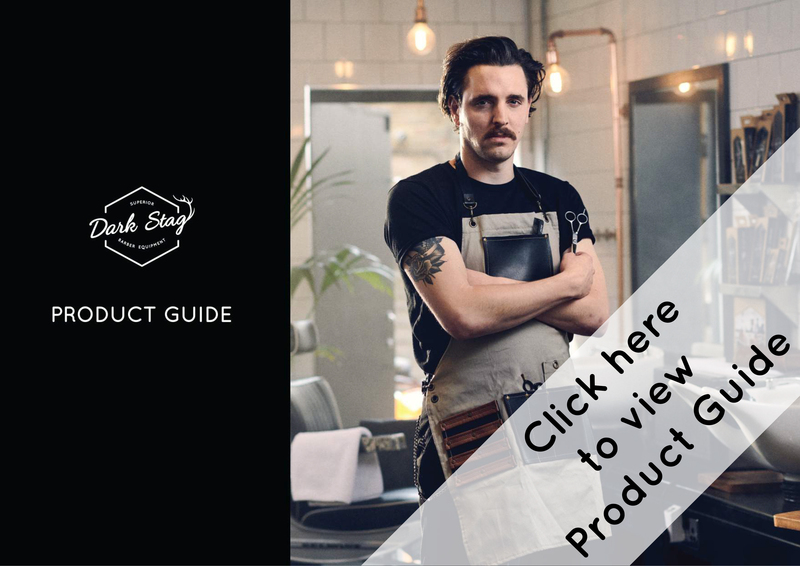 Dark Stag have been featured TWICE in The Barber Magazine Feb 2019! Dark Stag are thrilled to say that not one, but two of our fantastic products are appearing in the Feb edition of The Barber Magazine! The Dark Stag DS+ Offset Barber Scissor offers incredible long lasting precision and an effortless reliable feel when cutting. Available in 6.0″ and 7.0″ it’s offset design allows the hand and arm to work in a more natural and comfortable cutting position, reducing strain and fatigue. Combined with the silent and smooth tension system, the DS+ Offset is a pleasure to work with not only with everyday use, but even on those long, hard days. The DS+ Barber Scissor range is also available in straight style, as the Dark Stag DS+ Barber Scissor. For you lefties out there, try out the DS+ Offset Left-handed Barber Scissor! But that’s not all that was featured! The Dark Stag Rubber Barber Station Mat helps to preserve your worktops or work station with our Rubber-PVC Polymer Barber Station Mat. This durable accessory provides grip to prevent essential tools slipping and dropping. Our unique Rubber-PVC mix has been specially formulated to provide the ultimate heat resistance for placing warm clippers without damage. Our mat is easy to clean and enhances any organised work station. Dimensions: 380 mm x 280 mm. This durable accessory will grip your lovely tools, such as the Dark Stag DS+ or Dark Stag Premium Razor, with ease. Ensuring no accidental knocks that would chip or break your tools. The station mat is easy to clean and enhances any organised work station. The bottom of the mat has super traction, stopping it from slipping or sliding around on any surface. If you want to see more, check out the videos below! To read more about the The Barber Magazine 21 January – March 2019, please visit their website. Want to read more? Why not check out Dark Stag in the New Year?